COMPUTEX 2008 Spotlight - The Evolution of NZXT. The big trend in computer building, specially computers designed for gaming, is aesthetics and with that comes the slew of RGB components available to give a unique look and feel to a gaming machine. You can find RGB in many computer peripherals such as fans, keyboards, mice, RAM and now power cables too. 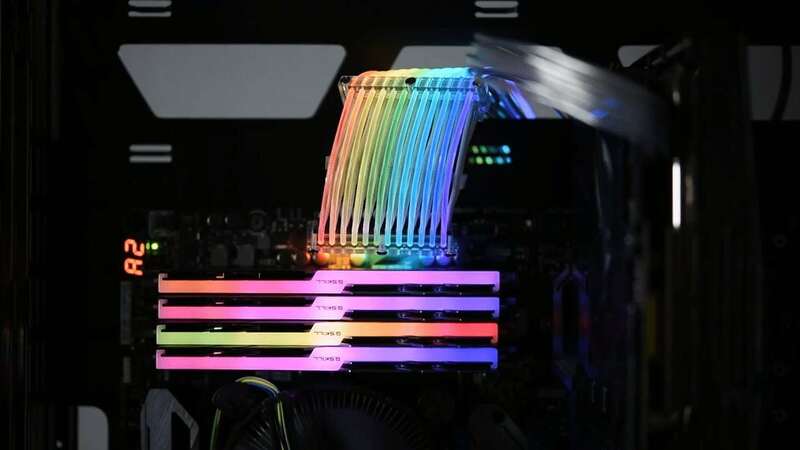 That's right, thanks to Lian Li, you can now RGB-ify your power connector cable to your motherboard with what they claim as the world's first RGB Power Connector Cable. Lian Li, a world leader in aluminum computer cases, custom cases and accessories for computer enthusiasts has announced the Lian Li Strimer. When you think of the cables that come from your Power Supply Unit or PSU, they are typically black and boring. You try to minimize their appearance in your cases as much as possible. Sleeved cables have helped bring a bit more color and uniqueness to power cables, but Lian Li has now blown away and brought customizable RGB colors to your previously dull cables. The Lian Li Strimer cable is a lighting module with integrated PSU extension that allows the Strimer to be used with any PSU currently on the market. Lian Li has a patented mounting mechanism so it fits securely and easily with your existing cables. You can customize the Lian Li Strimer cable via your motherboard with an addressable header pin. This allows the motherboard to control, customize and configure the Strimer lighting. You can also control the lighting with a built-in program control and there are 10 built-in lighting configurations. It would be interesting to see what sort of customizations you can do or how well it worked with MSI Mystic Light or ASUS' Aura Sync or other RGB lighting systems currently on the market.